See the sound. See the skyline. Redefining the New Rochelle skyline and perfectly positioned in the dynamic downtown surrounded by attractions, Trump Plaza New Rochelle soars 39 stories into the air. Unmatched views of the Long Island Sound and the Manhattan skyline will take your breath away. A magnificent lobby clad in rich marble and gleaming wood sets the tone for what is to come. 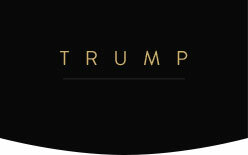 Round-the-clock doorman and concierge are in constant attendance providing a level of service that has become synonymous with the Trump brand. Every design detail in the residences showcases the finest appointments and exquisite finishes.